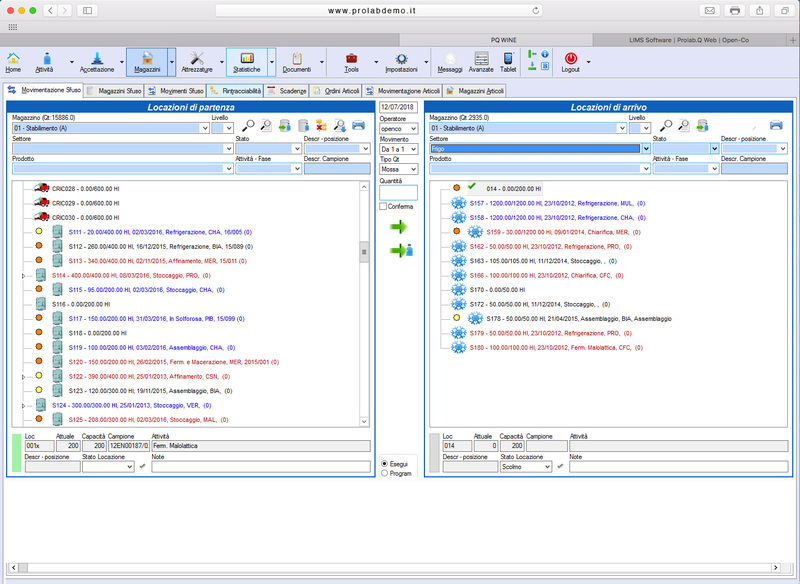 Prolab.Q WEB, the LIMS software designed, developed and sold by Open-Co enables the complete management of testing laboratories of all sizes (small, medium or large), interfacing with laboratories instruments, product retraceability, supply chain retraceability, organization of manufacturing processes. Prolab.Q WEB fully supports companies compliant to following quality standards: UNI CEI EN ISO/IEC 17025, ISO 9001, ISO 14001, ISO 22005, HACCP, BRC, IFS and is in line with CFR 21 PART 11 of FD. Prolab.Q can be used in WEB mode without any plug-in. ProLab.Q provides operational solutions that allow the management of all the activities performed in the laboratory or manufacturing company: management of a sample life, management of processes, reporting, warehouse, retraceability, instruments, and so on. This is made possible by the use of an integrated, all-in-one software that can potentially include and coordinate all corporate activities in a single environment. The standardization of the procedures thus allows time and cost savings. Prolab.Q can easily match to laboratories / industries of any size in following markets: environmental, food, chemical, petrochemical, mechanical, pharmaceutical, biological, microbiological, textile, energy, cosmetic, .. The software can be fully customized according to the customer’s needs and to the market requirements. The software is made up of complementary modules and features, that can be implemented step by step. In this way, the purposes of Prolab.Q can increase over time, following the company’s growth. The key factor for the success of investment is given by a continuous interaction and exchange between Open-Co and the customer. 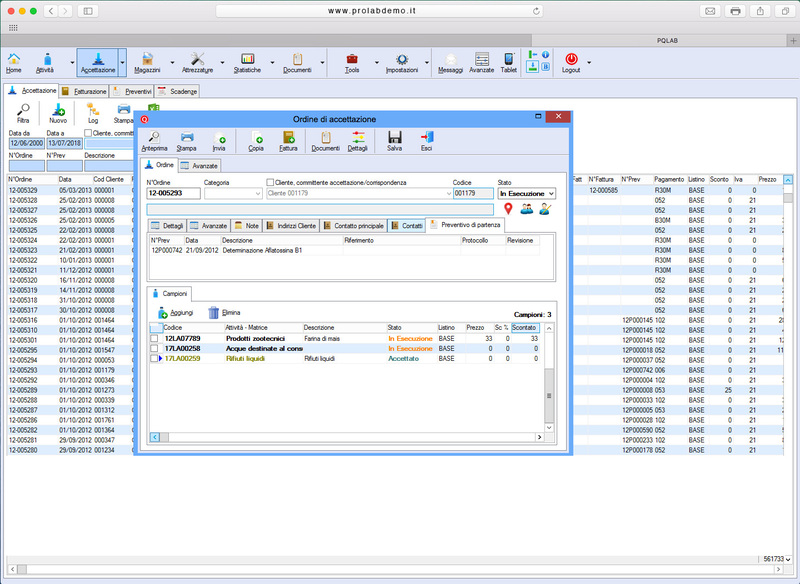 With the help of the exclusive Design modules, the user can be independent in performing customizations on reports and masks, with no need to ask for an external programmer’s intervention. The user can easily learn how to use Prolab.Q even when applied to complex realities. The SW can be provided with a pre-set database (sample types, activities, phases, controls, methods, …) in order to reduce times for the start of the system. ProLabQ is an innovative product. It ensures stability, safety and possibility to handle huge amounts of data on Enterprise-class RDBMS systems such as MS SQL Server or Oracle DataBase Server. This guarantees the highest service levels on the market in terms of performance, data security, system stability and scalability, thus allowing the creation of installations with unlimited users. 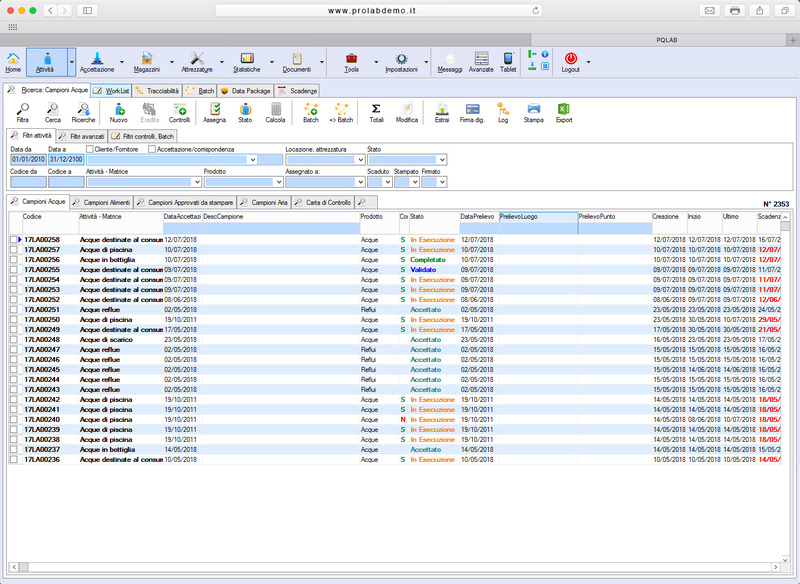 ProLabQ is open to data exchange with other IT systems (ERP, MRP, accounting or logistic software..) for sharing personal data and managing synchronous and asynchronous events. 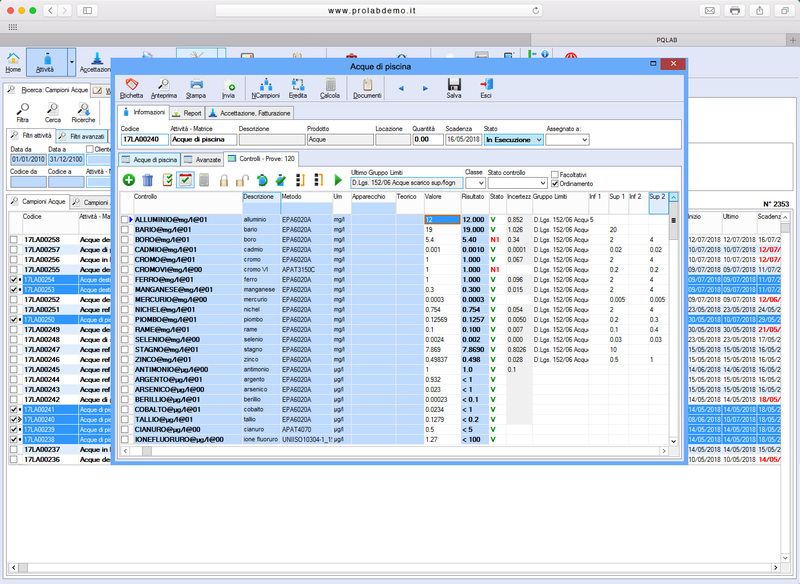 The perfect software for testing laboratories. Prolab.Q is the new generation LIMS system, ready to meet all management requirements of small, medium, big testing laboratories in different application environments and technical sectors. Its innovative IQF® framework guarantees its unique flexibility. The leading software for the technical management of wine cellars. 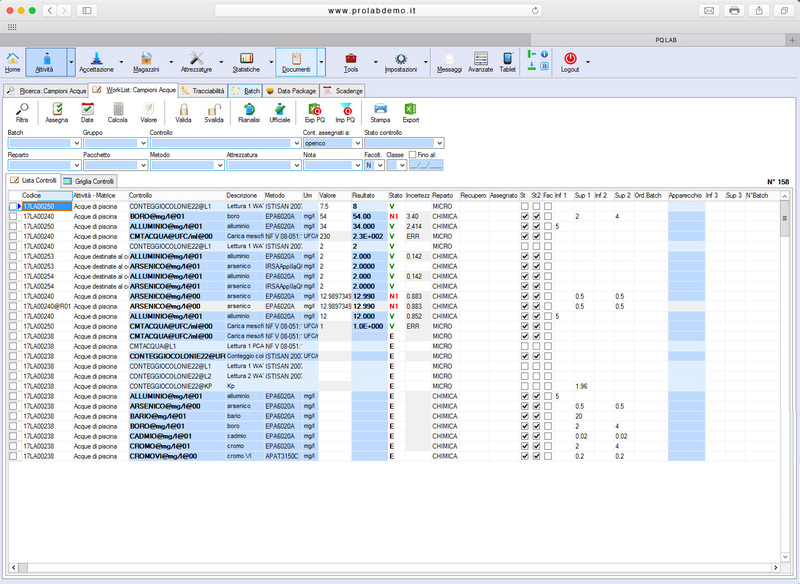 any activity can be managed with Prolab.Q. 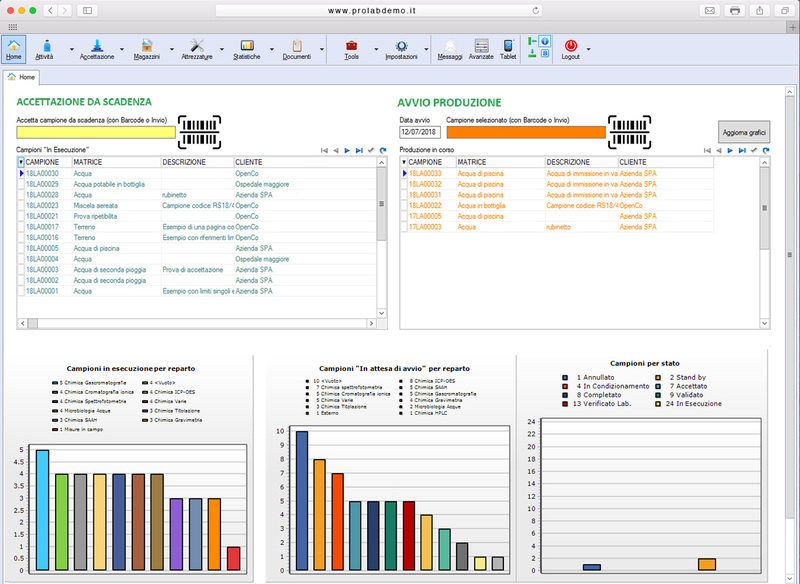 The software for the technical management of the Food&Beverages sector. It allows the monitoring of all manufacturing processes and the integration with QC laboratory and R&S dept. during all steps of production: from the evaluation of raw material to the supply of end products. 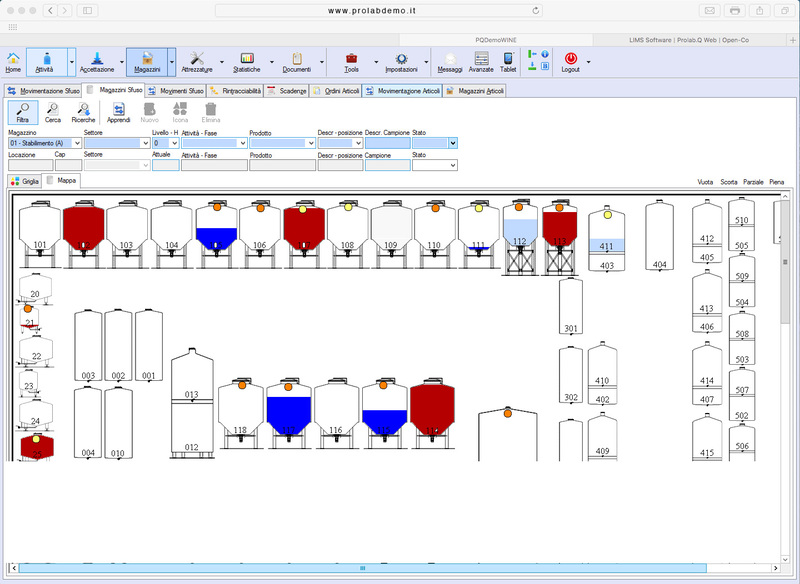 The software for the technical management of the chemical&manufacturing industry. It allows the monitoring of all manufacturing processes and the integration with QC laboratory and R&D dept., from incoming raw material to all phases of the production chain. Need a free demo of Prolab.Q?